A new report suggests 6,500 homes could be added to Toronto's housing market if the home-sharing platform Airbnb were to comply with new city rules on short-term rentals. A new report suggests 6,500 homes could be added to Toronto's housing market if the home-sharing platform Airbnb were to comply with proposed city rules on short-term rentals. Those rules are under appeal, and currently, the city cannot enforce the rules until the appeal at the Local Planning Appeal Tribunal is heard. City council passed the rules in December 2017. 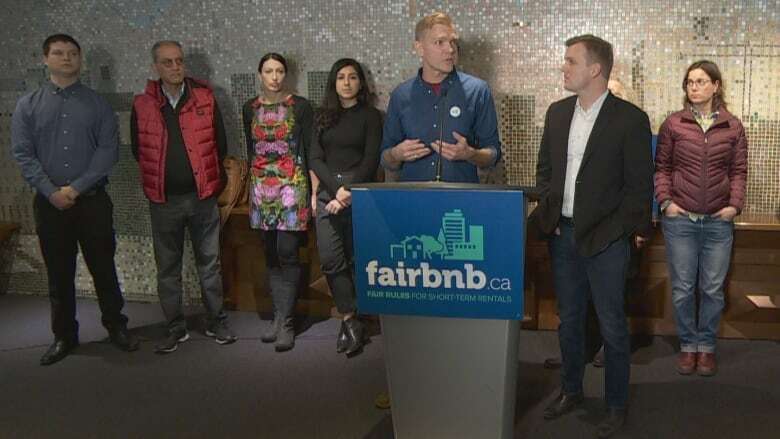 Fairbnb, a national coalition of about 15 organizations calling for fair regulations for short-term rentals, released the report at city hall on Wednesday. The report says if the rules were to be enforced today, Airbnb would have to remove about 8,241 properties from its website because they are not in compliance with the regulations. Fairbnb says removing those properties could place those homes back on the the city's long-term housing market. 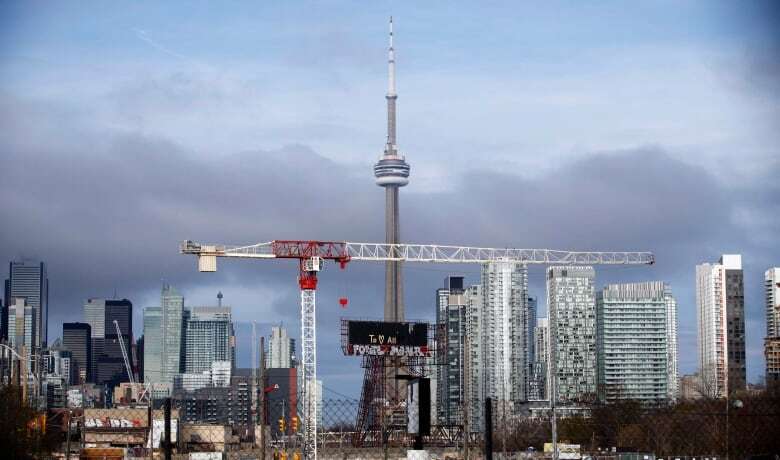 "Given that Toronto suffers from one of the lowest vacancy rates in the country (currently 1.1%), returning even a fraction of these homes to the city's housing market would make a difference to thousands of families seeking permanent homes in Toronto," the report reads. 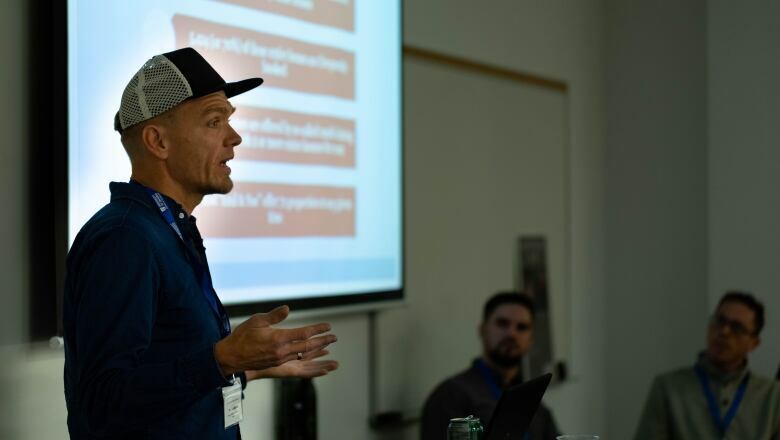 Thorben Wieditz, a researcher for Fairbnb, said the coalition released the report to give Toronto's relatively new city council an update on the Airbnb situation. "There is really no reason for them not to comply," he told reporters. Wieditz said the 8,241 properties listed on Airbnb include private rooms in addition to entire homes. About 65 per cent of all listings on Airbnb in Toronto are for entire homes, he added. The data used in the report came from Inside Airbnb, a project based in New York City run by data analyst Murray Cox, who makes Airbnb listing data publicly available for a number of cities. Inside Airbnb calls itself an "independent, non-commercial, open source data tool." Coun. Joe Cressy, who represents Ward 10, Spadina-Fort York, called the number of homes that could be returned to market, either for ownership units or long-term rental units, "staggering." "Toronto is facing an affordable housing crisis. For far too many people, they can no longer afford to live in this city," Cressy said at the news conference. Data in the report shows that "right now in this city today, Airbnb is, in fact, exacerbating the problem of affordable housing," he added. Cressy said 181,000 people in Toronto are on the waiting list for subsidized affordable housing. Meanwhile, he said the average monthly rent for a one-bedroom apartment in the city is more than $2,000. He urged Airbnb to delist the 6,500 units today and not to wait for the ruling on the appeal. According to the report, an estimated 73 per cent of Airbnb's total estimated revenue for Toronto comes from short-term rental listings that are not in compliance with the rules, which are not yet in effect. A hearing on the appeal of the rules is expected to resume at the Local Planning Appeal Tribunal in August. Airbnb dismissed the report's findings on Wednesday. "This report is based on faulty assumptions and poor research, and is yet another example of the well-resourced and clearly biased hotel lobby, seeking to villainize families who are making a little extra income by sharing their homes," Alex Dagg, spokesperson for Airbnb, said in an email. "It is troubling that the hotel lobby continues to advocate for bypassing a democratic appeal process put in place to give voice to the citizens of Toronto." Dagg said Airbnb is not trying to avoid regulation. "To be clear, Airbnb wants to be regulated — we have always advocated for fair, sensible home-sharing regulations and look forward to continuing our collaborative relationship with the city of Toronto." Under the rules, homeowners and tenants would be allowed to host short-term rentals in their principal residences, but only after registering for a $50 permit. However, property owners would be barred from listing multiple properties, something that's common now. When the rules were approved, council adopted both a registration and licensing program and a new zoning bylaw permitting short-term rentals. Currently, there are no rules governing short-term rentals in Toronto because of the appeal.